Government has allocated an amount of Ghc 180 million to the Office of the Special Prosecutor to function effectively. According to Finance Minister, Ken Ofori-Atta, who announced this in the 2018 budget statement presented to Parliament on Thursday, the money is to assist the Office of the Special Prosecutor in the fight against corruption in the country. Since the swearing in of Martin Amidu as Special Prosecutor in March 2018, he has complained bitterly about the non-allocation of funds to his office – a situation he said was hampering his ability to deliver.He also warned that the office will not be able to fully discharge its duties if the situation was not addressed as soon as possible. Ken Ofori-Atta said the Special Prosecutor’s Office is one of the highest priorities of government, and that aside from the allocation, government will in the course of next year provide more resources for the Special Prosecutor to perform his duties without hitches. 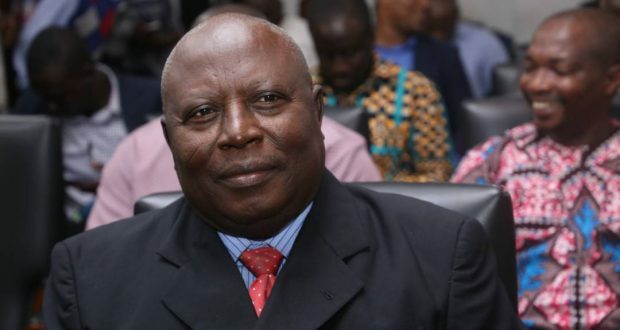 Prior to the presentation of the budget, Citi News had reported that it had in its possession of a letter from the Special Prosecutor, Martin Amidu, expressing appreciation to the Finance Minister for an apparent pledge for a budgetary allocation in the 2019 budget. These developments come after months of lamentations from the Special Prosecutor about financial resource constraints in running the anti-corruption office. Recently, Martin Amidu in one of his articles titled “The Whitaker scenario – Stifling independent investigative agency of funds” reiterated the need to resource his office. But Martin Amidu in his appreciation letter said, “The Office of the Special Prosecutor appreciates efforts of His Excellency the President and your good self in supporting this Office to be able to establish and operationalize to the best international standard to decrease the incentive and increase to the highest level the risk for corruption towards the attainment of the agreed national anti-corruption vision for our dear country”. But Martin Amidu’s letter suggests that the allocation will partially solve some of the pressing financial, accommodation and logistical needs that impeded his office’s work. Ken Ofori Atta also underscored the need for Ghana to adopt a robust internal audit system within the public sector, as a way of achieving the objectives of government. “The Ministry of Finance is currently supporting the Internal Audit Agency to conduct extensive stakeholder consultations as part of the key processes that will lead to restructuring the Internal Audit Agency. This will help to align the activities of Internal Auditing to national objectives,” he added.